Shanghai - Three Chinese boys have the chance to follow in the footsteps of Lionel Messi after Barcelona hand-picked the trio to train at the Spanish giants' famous La Masia youth academy, organisers said Wednesday. Two boys aged eight and another aged 10 were plucked from more than 1000 children who attended the first Barcelona training camps at Mission Hills Haikou resort on the southern Chinese island of Hainan. They will now go for more training at the Barcelona academy that produced the likes of Messi, Andres Iniesta, Xavi and a long list of other internationals. "These were our first training camps since opening our FCB Escola at Mission Hills Haikou and we were overwhelmed by the response," said Pau Lopez Mesquida, a former Barcelona youth player who oversees the project. 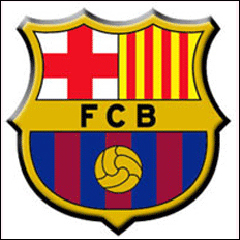 The Barcelona coaches were impressed by Li Shibo, 10, and eight-year-olds Lang Dacheng and Zhan Zhijie, he said in a Mission Hills press release. "I am so excited to be going to Spain for the first time to train with Barcelona," said Lang. China have never produced a world-class footballer but are ramping up investment in the sport in a bid to rapidly improve the fortunes of the underachieving national side. Barcelona and the Mission Hills Group announced a deal in February as part of the drive.